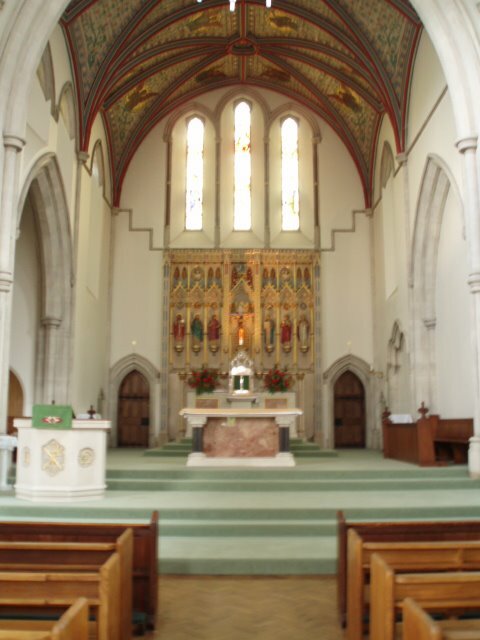 In June, 2006, His Hermeneutical, Father Finegan, posted this about St. Joseph's Church in Dorking, where I have attended the Triduum during the past few days. 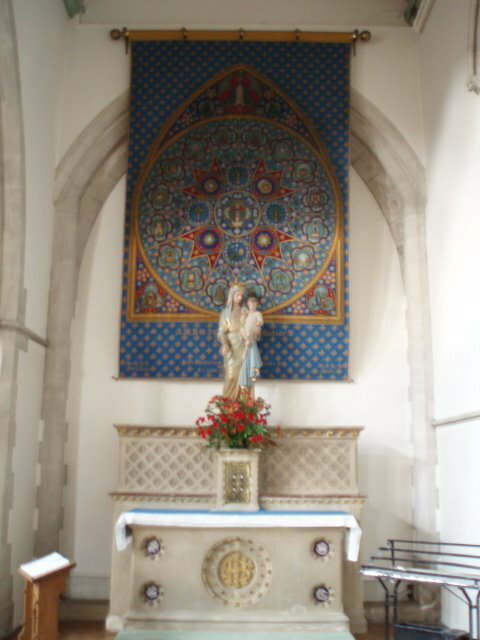 I shall find out more about the fantastic tapestry, made by a parishioner who was also a busy mother when she made this masterpiece. from the blog The hermeneutic of continuity, June 7th, 2006. 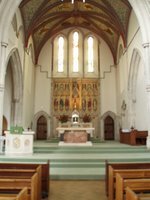 The Church of St Joseph's, Dorking was built by the Duchess of Norfolk and is a fine Victorian Gothic pile. 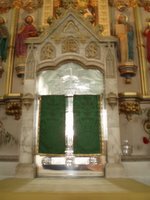 The tabernacle is still firmly in the centre of the Church. On the tabernacle itself, there is the inscription "Posuisti mysterium istud in virtute Spiritus Sancti" (You have set up this mystery in the power of the Holy Spirit). Fr Dominic Rolls asked me where it was from and although it was familiar, I had to admit being stumped. A quick string search on google reveals that it is a phrase from the Sunday section of the Prayer of St Ambrose in the prayers of the (old) Roman Missal in preparation for Mass. Shame on me! If I said them more regularly, I would not have needed to look it up. 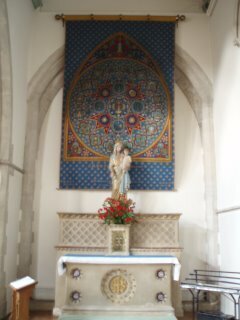 The Lady altar has a tapestry behind the statue of our Lady which reproduces the motifs from one of the windows in Chartres Cathedral. Apparently, St Bernard had a dream in which he saw heaven but there were no Cistercians. He asked Our Lady why this was so and she opened her mantle to show the Cistercians inside it. This is reproduced at the top of the tapestry. 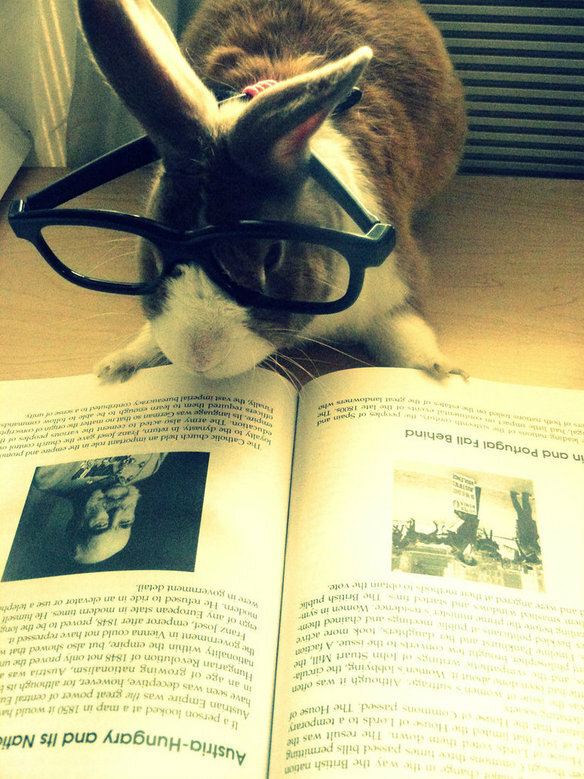 Oh my goodness, should I buy my own chocolate egg this year? For the first time in my life, I did not receive chocolate for Easter. I am still in the state of shock. I bought my son a giant Kinder Egg out of nostalgia, but my family gave me, what--money! Now, I shall take chocolate gifts, but rarely buy this treat for myself, as I usually use gift presents of money to buy books, or maybe the occasional bottle of perfume. However, chocolate would not be the top of my list for purchases. Oh my goodness, I may have to buy my own chocolate this year! 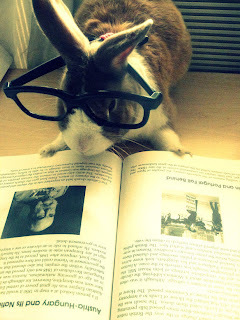 But, where is my book list.....?